The season of love is upon us once again, and like all good holidays or random days of the week, I’m gonna re-contextualize it to be about comic books! That’s how I roll, my friends. That is indeed how I roll. And this year, I’ve gathered up the six best characters in comics with the literal power of love! Sometimes it’s all about manipulating pheromones. Sometimes it’s about magic. And sometimes you create an an entire army of pink-clad women to spread love throughout the galaxy. We take all comers here in Henchie Love Central. So sit back, settle in and join me after the jump for the best Valentine’s Day article you’re going to read all week! The greatest trick Stan Lee ever pulled was turning Thor into a superhero. Rather than invent an original god-like character, Lee just grabbed Thor out of Norse mythology and turned him into a comic book character alongside Iron Man and the Hulk. Then Marvel went and did the same thing with Hercules. Why not just bring these mythological characters into comics? 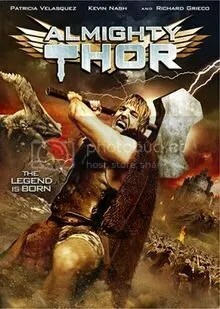 It’s not like anybody holds the copyright or trademark on Thor or Hercules. Nor do they hold the trademark on Cupid! Sure enough, that lovely baby with the bow and arrow has at least one appearance under his belt at Marvel — as a studly, Fabio-esque grown man. Cupid appeared in an old issue of the Avengers, where he was hoodwinked into believing that Mockingbird was his reincarnated wife. But Mockingbird was married to Hawkeye at the time, so it became a duel between archers, with Hawkeye’s impressive skills winning the respect of a literal god. Poor Starfox, a character who should not exist in 2016. Starfox is a cosmic Avenger with the power to manipulate the pleasure centers in a person’s mind, most often to make them infatuated with him. 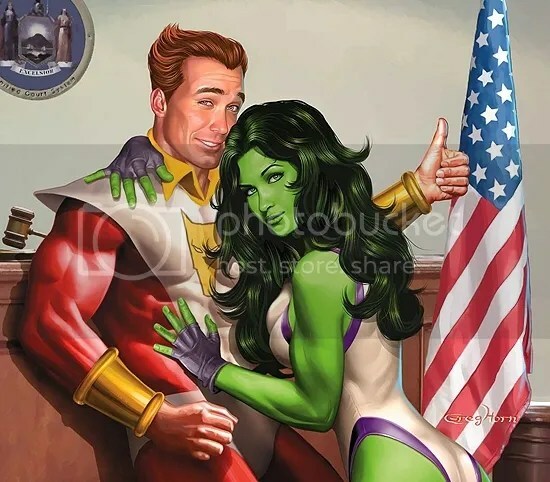 This was a solid power back in the swinging 70s, I suppose, but by the 2000s, Starfox was put on trial for potentially sexually harassing many, many women. After the trial (which ended up in space), Starfox voluntarily asked that the power be shut off so that he didn’t unintentionally harm any potential paramours. 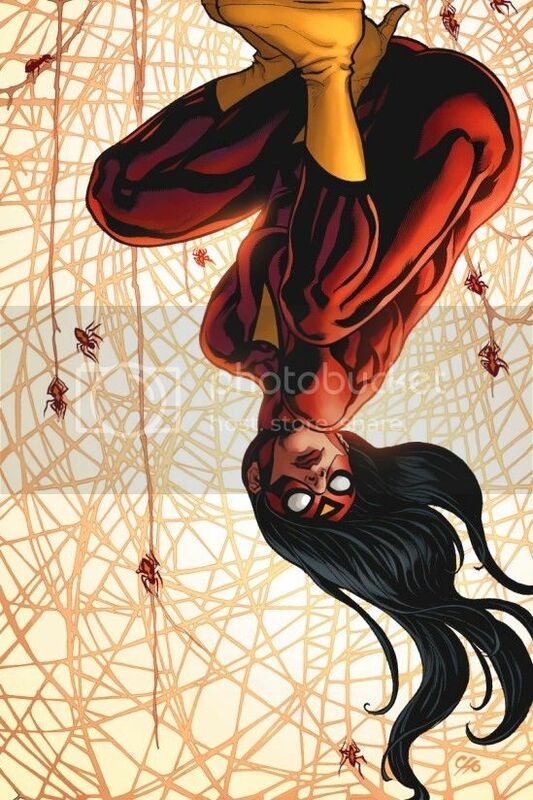 Spider-Woman, for the uninitiated, doesn’t have anything to do with Spider-Man. Totally separate characters, origins and powers. As such, Spider-Woman is gifted with something Peter Parker doesn’t have: super pheromones. Whereas Peter is stuck striking out with Mary Jane Watson and every other woman in his life, Jessica Drew can just turn on the animalistic pheromones and suddenly every man in her immediate area is infatuated with her. It helps take down the bad guys, and she’s smart enough not to abuse it…unlike our next entry. Oh Robin, she’s no good for you! It was right there in Batman & Robin, you know you remember it. 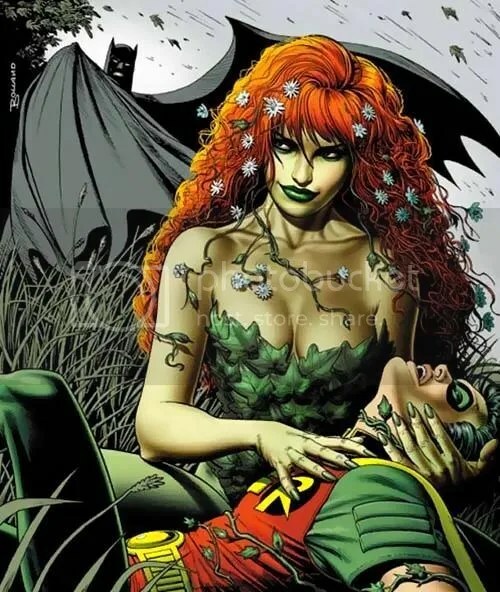 With but a kiss, Poison Ivy can make grown men fall head over heals in love with her, eager to do her every bidding. 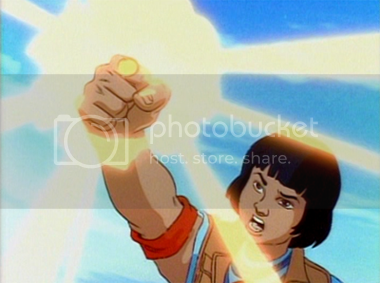 Obviously her main power has to do with plants, or something, but she cooked up that special love kiss through advanced botany and herbology. She’s also got a kiss that can kill people straight out, so basically you’ve just got to be careful when dealing with Poison Ivy. Venus is a mythological siren (of the ‘luring sailors to their deaths’ variety) who was gifted/cursed with a soul by the Ancient One. Appalled at all the dead sailors, Venus joined civilization and was a hero through the 20th century, using her Siren Song to stir the emotions of others, from lust to love to sadness. Eventually she even starting posing as the real Venus, otherwise known as the goddess Aphrodite, but the real Aphrodite eventually came down from Olympus to put a stop to that. Most notably. Venus joined the Agents of Atlas to get stuff done. It’s as if men can’t know love! Love doesn’t get more powerful than having an entire army of scantily-clad vixens professing its power throughout the cosmos. Star Sapphire and the Star Sapphire Corps wield the very emotional energy of love, using its power to turn the universe into a more lovey dovey place. 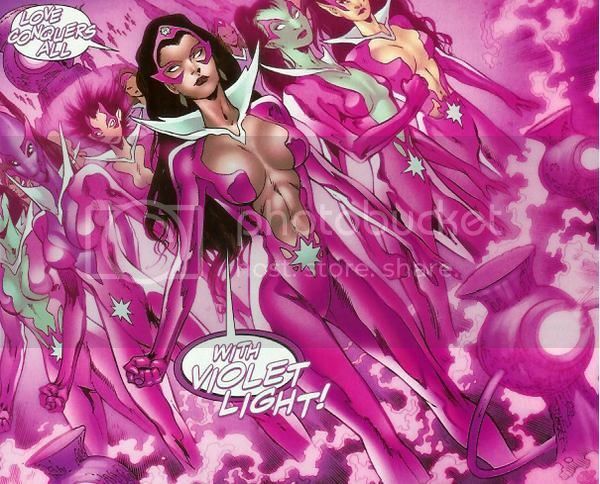 Originally, Star Sapphire was just one person, the girlfriend of Green Lantern turned super-villain. 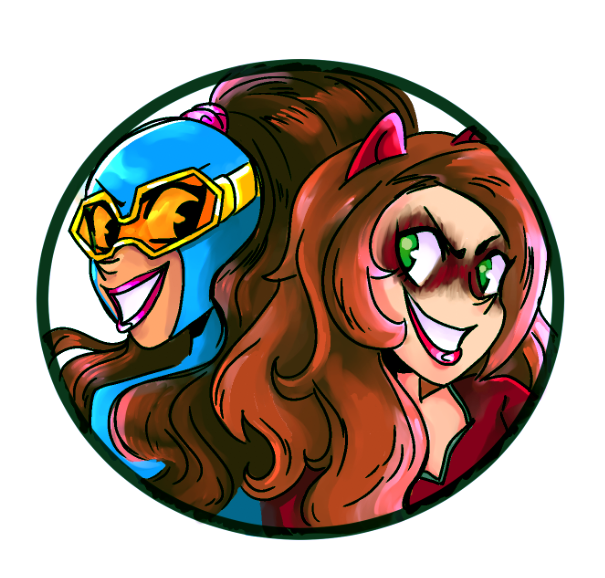 But then all of Green Lantern’s villains decided to make their own magic rings and form their own teams, and Star Sapphire became the Star Sapphire Corps! Good thing magic rings aren’t as much of a scam as diamond engagement rings. 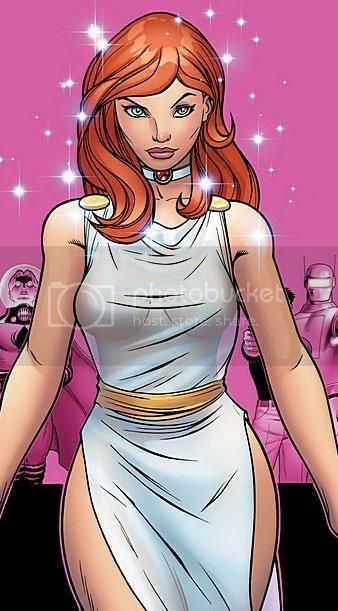 Posted on February 10, 2016, in Comics, Lists of Six! and tagged Love, Valentine's Day. Bookmark the permalink. Leave a comment.